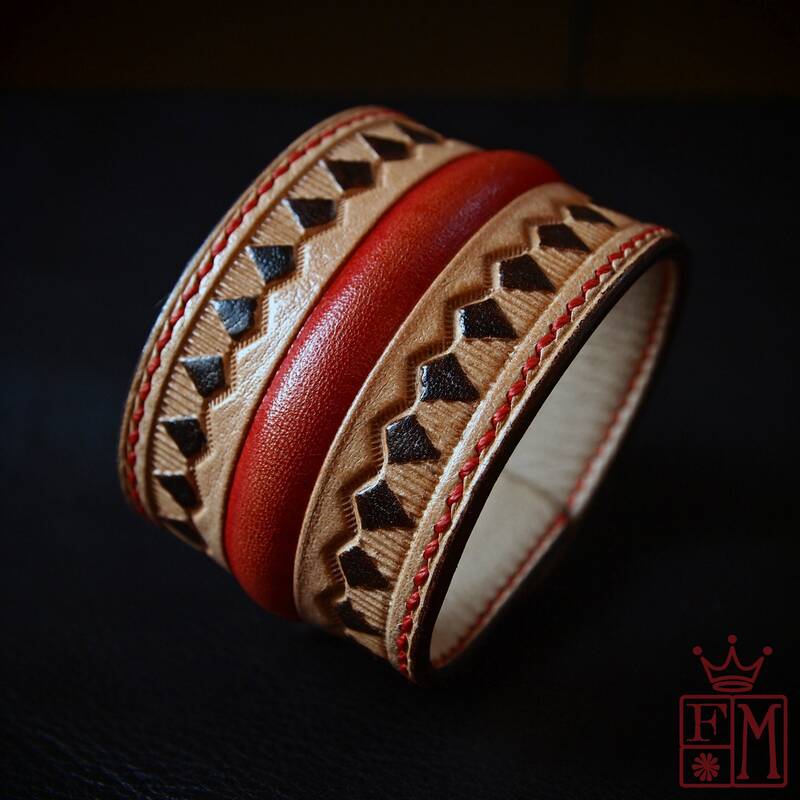 Western design leather cuff : Native Western style Natural vegetable-tanned leather. 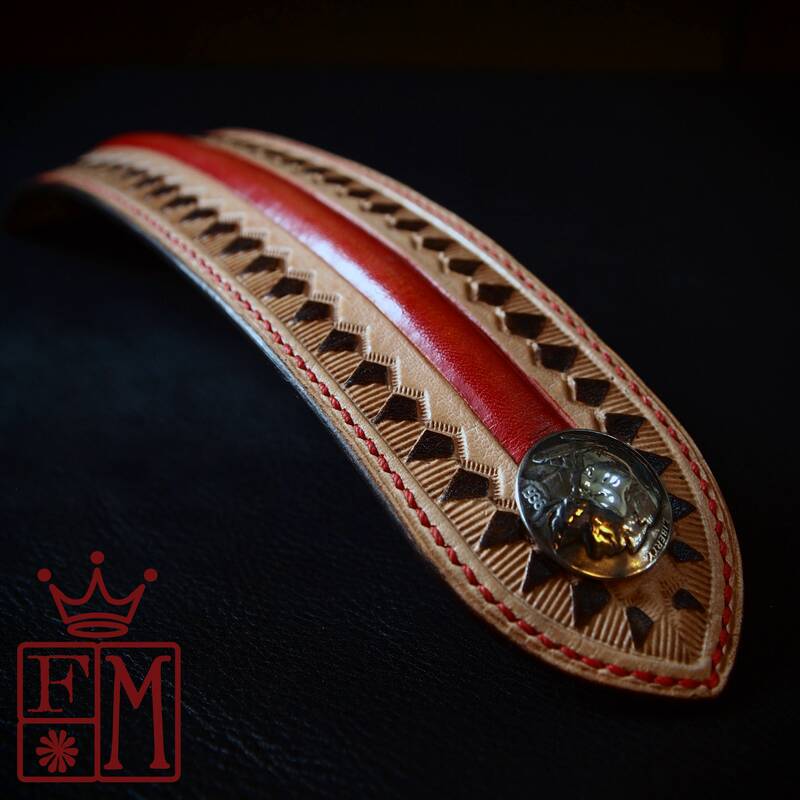 Handmade in New York! 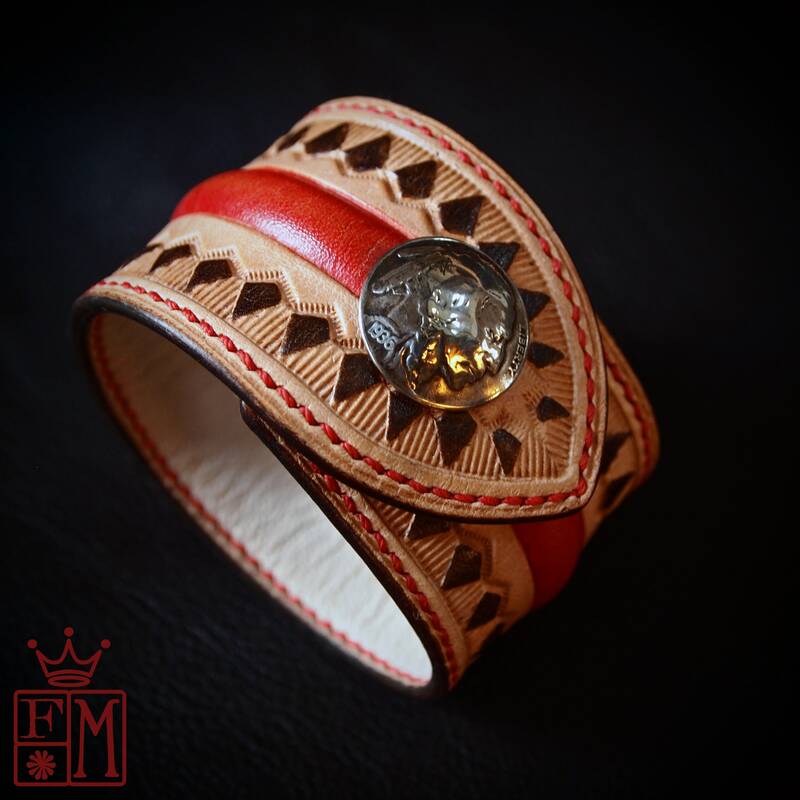 This Western design leather cuff uses Milled vegetable tanned leather. It is 1-3/4" wide, stamped, hand dyed and hand stitched in red thread. A handmade, domed and soldered genuine buffalo nickel snap provides closure. Lined in beautiful calf for comfort. All of my work is custom sized for the order. 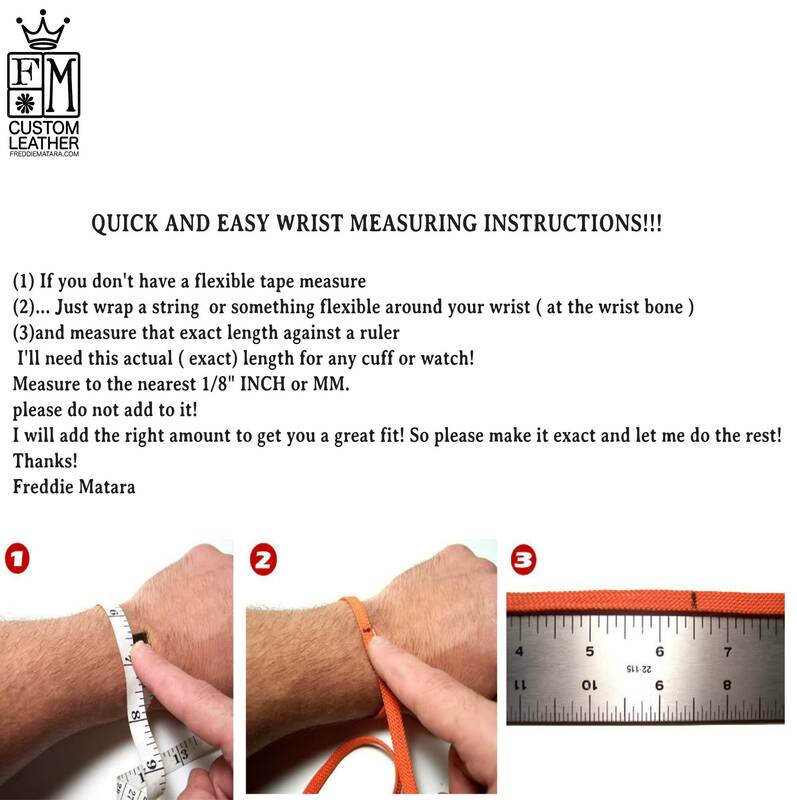 Please use the instructions in the last pic and insert your size in the notes at the end of checkout.